In 20 years only 3 players have played a full season in the year they were picked 3rd overall, and 5 played half a season. The other 12 either didn’t play at all or had a real small sip. Based on history I think we can expect Draisaitl to return to Jr this season but should be worried if he doesn’t make the team in the 2015/16 season. 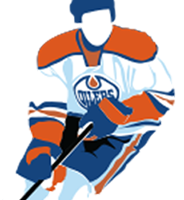 WONGER for OILERSNATION!!! Love this guy!! !